Spring has sprung, the sun is shining, and we’re getting a lovely little foretaste of summer today! The trees are lush with bright green leaves, flowers are popping up everywhere, the dandelions are slowly starting to disappear (much to my toddler’s chagrin), and birds and squirrels and rabbits are playing in neighborhoods all over town. God’s creation is alive and at it’s most beautiful at this time of year—which is why creation is a perfect topic for a new sermon series! As we celebrate the knowledge that Jesus is Lord over all creation, we will talk about our obligation to be good “house-sitters” as we live on God’s earth. We’ll learn more about humanity’s relationship with the environment, and we’ll share some tips for eco-friendly living that will also save you money! As the old spiritual says, “Every time I feel the Spirit moving in my heart, I will pray!” Today we will celebrate the birthday of the Church (there might be funny hats and noisemakers at Young Disciple’s Time), and we’ll honor the Holy Spirit’s role in our lives and in creation. We’ll also talk about how science and religion can co-exist peacefully, and how the Holy Spirit works through scientific discovery and exploration! 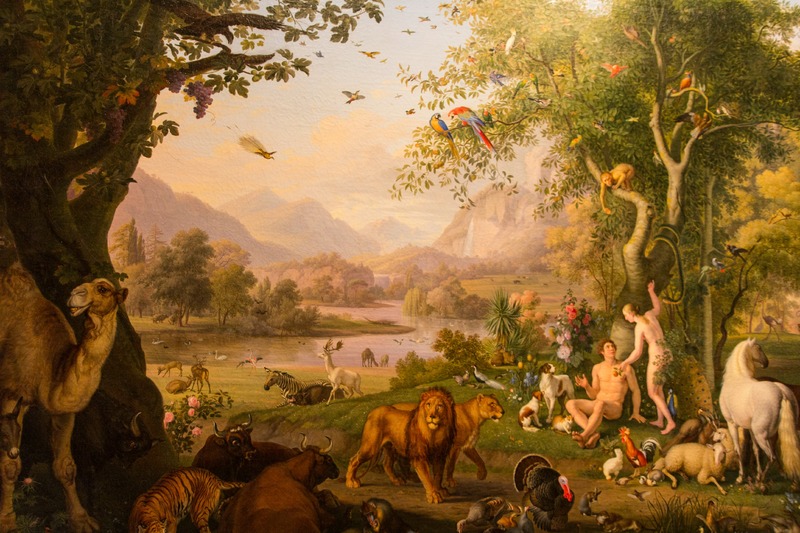 Today we will learn more about our Triune God—Father, Son, and Holy Spirit—and we’ll see what the Bible has to say about God’s relationship with non-human life…birds, fish, plants, and animals. We’ll see that God values all life within creation, and we will remember that God has a purpose for every living creature under the sun. We will also hear from Gina Long as she gives us an update on Lord’s Acre: the Green Team has some very exciting plans for this fall. You won’t want to miss it! Next week, on June 4th, the youth are hosting an ice cream social from 3:00-5:00 to raise money for Heifer International. Lots of ice cream and baked good, all for a free-will offering…invite your friends and neighbors!